Latest Prices of Oppo A3s mobile phone Online Stores in Pakistan. Oppo has not kept down with regards to the camera segment. Oppo A3s Price in Pakistan 2018-2019 is available on Pricealert.pk with updated full specs and Features and you can buy from Online Shops in Pakistan. Its launch/release date in Pakistan is July 2018. A double Camera set up in the back that incorporates a 13 MP and a 2 MP sensor and an 8 MP sensor to be utilized to take selfies on the forward-looking camera and the back camera has the LED streak bolster while the AI Beauty Technology 2.0 will bolster the front camera. Oppo might want the A3s to be known as a camera phone and has pressed it with highlights and functionalities to guarantee that the imaging knowledge for the clients is far predominant. Find online stores for Oppo A3s in Pakistan like Olx, home shopping & Daraz. Share Oppo A3s Mobile Price in Pakistan with your friends and family, the mobile is available here. You can buy from different stores online in Pakistan. A 4230 mAh battery implies the phone will remain dynamic much past the typical phones in this fragment. Check latest updated Oppo A3s Price in Pakistan on Pricealert.pk. 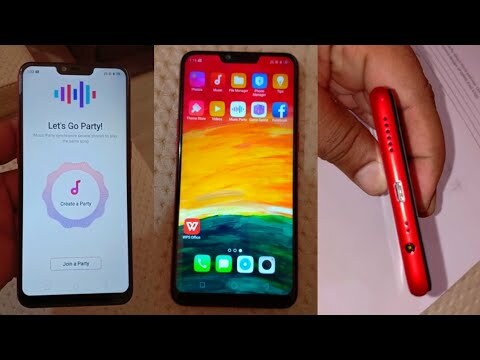 Before buying Oppo A3s mobile phone check full Specifications, Features, Reviews & Unboxing, colores with Pros and Cons which are giving below. The network choices are finished with 4G VoLTE capacity additionally included. This product is available in Yayvo, Telemart, Goto, Mygerrys, Ishopping, Mega. At yayvo.com you can purchase OPPO A3s - 16 GB, 2 GB RAM Dual: 13 M + 8 MP, f/2.2 Octa-core 1.8 GHz for only PKR.19,990, which is 17% less than the cost in Mega (PKR.23,999). The lowest price of Oppo A3s 4G Mobile 2GB RAM 16GB Storage Price in Pakistan, Specifications, Features, Reviews was obtained on April 13, 2019 3:06 am.